Scolmore has launched a new and improved version of its FlameGuard Back Box to offer total peace of mind in the event of fire. They are the only fire rated dry lining back boxes on the market that have ‘configurable’ lugs allowing installation into different depths of plasterboard. With installers tending to use double layered boards, requiring depths of up to 30mm, standard versions do not fit. Scolmore’s new FlameGuard Back Box has been designed to work with up to 30mm boards and operate in exactly the same way. It is as simple and quick to install as a standard cavity wall box. 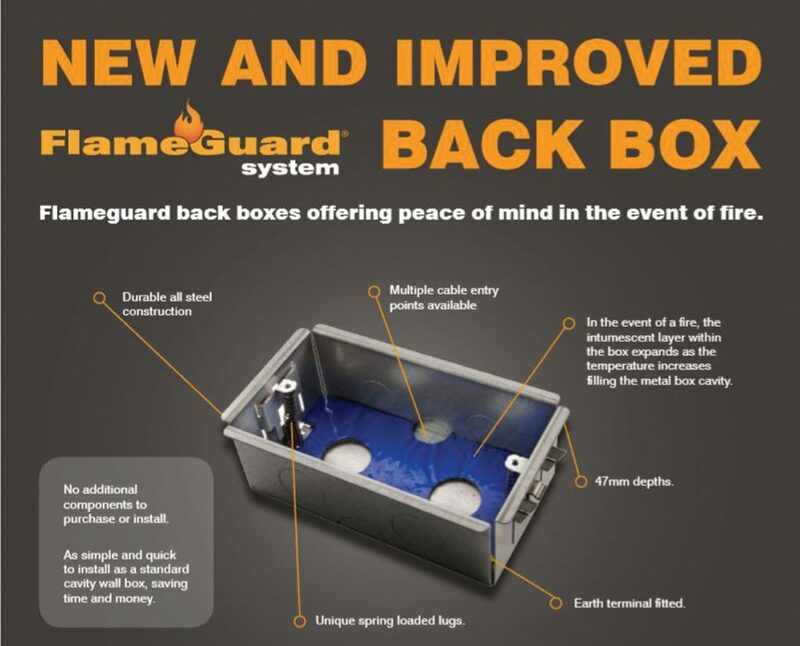 FlameGuard back boxes have been tested and conform to both fire and acoustic BS EN standards. Fire: BS EN 1363-1: 1999 & BS EN 1364-1: 1999. Acoustic: BS EN ISO 10140-2: 2010 & BS EN ISO 717-1: 1997. They comply with Building Regulations. They are fire tested up to 90 minutes with the capability of the boxes being mounted back to back.